Fenced In is an iPhone game developed byThe Jelly Republic Ltd. If you love puzzles, farm animals, or iOS games with lots of levels, then this is worth checking out! Fenced In is a puzzle arcade game. In this addictive puzzler, your goal is quite simple. 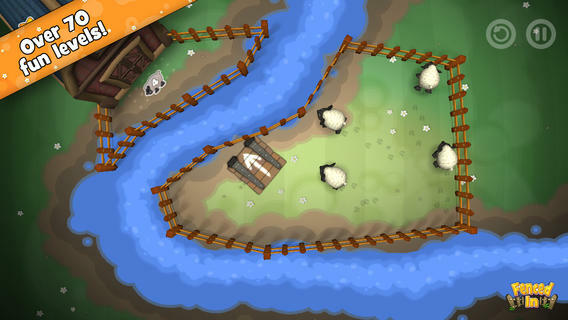 You must help Farmer Grady return his farmyard animals to their fenced in homes. But doing so isn’t quite as simple as it seems. Fenced In itself is quite simple to learn, but it is very satisfying in terms of difficulty. As you progress through the game, you’ll need to incorporate barns, old tires, and spring boards into your puzzle solving plans. The interface is clean, and the gameplay is very intuitive. This app may have special appeal to parents, as the game contains no IAP whatsoever. This is also good for gamers with impulse control problems. After you make your initial purchase, there is no need to spend any money in the game. There are a total of 70 levels in the game right now, spanning a total of three different worlds. There are also tons of achievements to unlock, so it’s likely that this game will take you a little while to beat. It’s a good return on your investment. It’s not immediately clear when/if there will be more levels, but I’m hoping there will be more soon! This is a great puzzler that’s totally addictive. Fenced In has great graphics, and the character designs are totally charming. 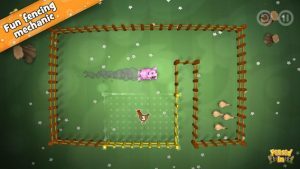 If you love farm-inspired games or are just hankering for a new puzzle game to pass the time, Fenced In is definitely worth splurging on. Who knew mending fences could be so much fun! 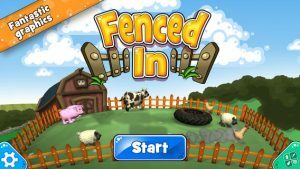 Fenced Inrequires iOS 4.3 or later. Compatible with iPhone, iPad, and iPod touch. This app is optimized for iPhone 5.